This entry was posted in America Immigration INDIA Travel to US USA Immigration and tagged America tourism travel to America travel to US travel to US from India travel to USA visit America visit USA on July 12, 2014 by Blog Author. Have you got your visa stamped? Is this the first time you are travelling to US from India? Relax don’t panic. This article provides the best tips to travel to US from India for your reference and helps to make your trip simple without any hindrances. 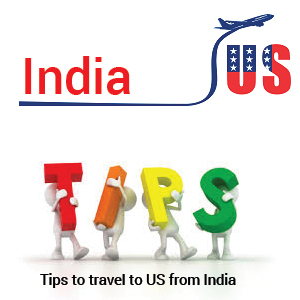 The following are the tips that have to be followed by travelers who are travelling to US from India. Find lowest priced ticket through travel agent and then book online or vice versa and then discuss to obtain low-cost flight ticket to travel to US. Find luggage payment prior to paying a flight ticket. Cheapest air charges don’t provide best facilities and flight connections always. As the first time travelers prefer for a window seat, if a traveler is a tall person it is suggested to choose aisle seat. Universities or colleges situated in main cities will have a direct flight or direct entrance from next linking flight. In the US the first city is Port of entry where most of the travelers land initially. Before boarding for the second flight in the US, it is necessary to clear all immigration formalities. See to it that minimum three hours time is available to get into the connecting flight so that meanwhile travelers can clear all their immigration formalities and move forward with their luggage after checking. Don’t get panic if you miss connecting flight; try to inform the pickup person. It is suggested to have some US dollars to make calls. If you want to travel to US, please fill out Our Enquiry form, And also follow us @ MoreVisas Facebook, Twitter, LinkedIn.